keyboard and cursor are already ready to take notes right away. No need to touch here and there just to write a note. A drafts list with different colors for Dropbox, Google Drive, OneNote and Evernote. Daily stats on how many letters of you wrote today, and support your note-taking habbit. Your data is portable: Export as a CSV. 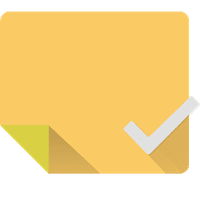 1 Second Note can send a note to a file that you specify in Google Drive. Files can be shared and updated together by others.